Born in Jiangxi Province, China, to a bank official and theatre actress, Gao’s mother was responsible for instilling in her son a deep passion for theatre, writing and painting. As a child, Gao not only studied classical ink painting and received violin lessons, he also indulged in a myriad of Western literature translated into Chinese. By the age of ten, Gao had published his first novel and completed two years of formal painting lessons. Gao graduated from the French Literature Department at the Beijing Foreign Studies University in 1962. Having survived re-education camp during the Cultural Revolution (1966-76), Gao sought asylum as a refugee in Paris in 1987 and took up French citizenship in 1998. Gao, who is the first Chinese to win the Nobel Prize in Literature in 2000, has had an artistic journey that is as outstanding as it is multidisciplinary. While better known as a playwright and novelist, Gao’s main form of creative self-expression since 2003 has been painting. Today, his works are celebrated among connoisseurs of ink painting and the cultural elite. 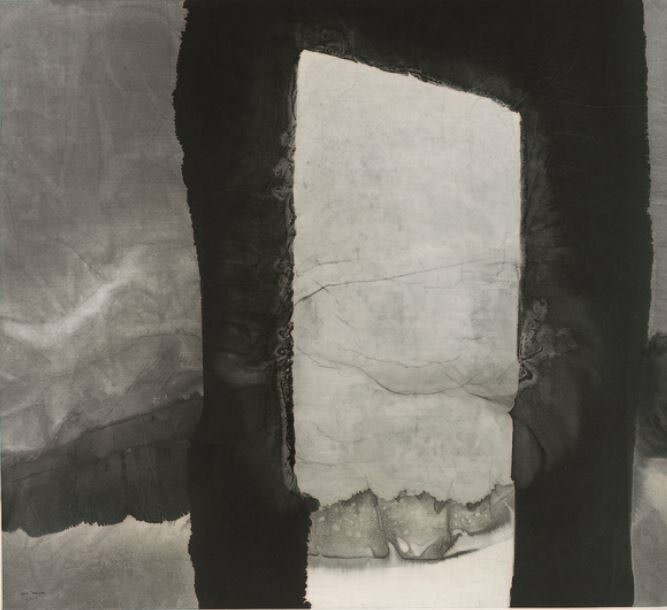 Over the past twenty years, Gao has painted exclusively with Chinese ink, sometimes on small sheets of rice paper, sometimes on large canvases. 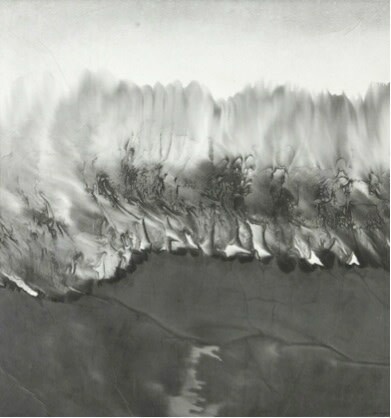 The gouache technique, which derives from the classical Chinese technique of xieyi (literally “writing of the spirit”), allows the artist to create subtle, Zen-like settings that move between the figurative and the abstract. 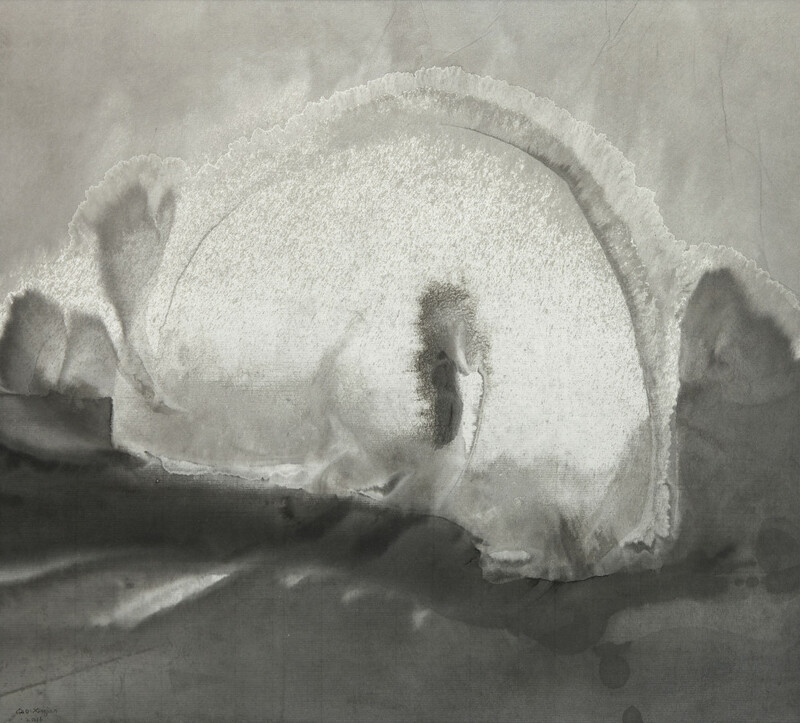 While firmly rooted in the tradition of Chinese ink painting, Gao’s works also convey a strong sense of contemporaneity, expressing the artist’s personal insights into life, space and the universe. His light, fluent brushstrokes are like the gentle rhythm of music that floats in the air as they explore the expressive possibilities of light and dark, drawing the viewer into the realm of meditation.